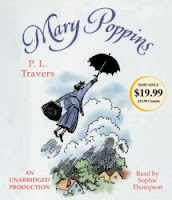 Pippi amazes Tommy and his sister Annika just the way that Mary Poppins amazed the Banks children. 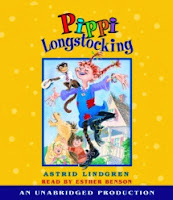 We loved Pippi's headstrong antics, but also were touched by her gestures of friendship. 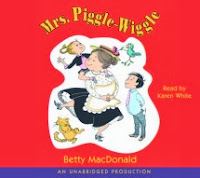 Whether children hate to wash dishes, won't clean up their rooms, or answer back to their parents, Mrs. Piggle Wiggle has the perfect plan how to help them. Kids and parents will giggle at her creative solutions. The short, stand-alone chapters make this a great "long" book to read with preschoolers. Happy listening! The review copies came from our personal library and our public library. If you make a purchase using the Amazon links on this site, a small portion goes to Great Kid Books (at no cost to you!). Thank you for your support. Last week, our students were so excited to visit with Robert Paul Weston, the author of The Creature Department and Zorgamazoo. Over 60 fourth & fifth graders came to have lunch in the library and have a live video chat with Mr. Weston. 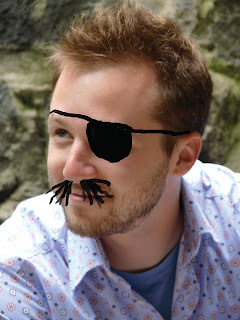 You see, he lives in London but he wanted to share his fantastic books with us. Once I showed my students the videos from The Creature Department website, they were hooked! I invited a good friend Shannon Miller and her students from Van Meter Community School in Iowa. 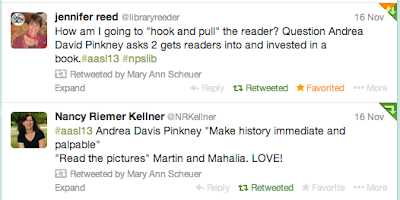 Friends LOVE sharing books they're excited about, something I always model for students! The Creature Department is a fun adventure fantasy book that's getting great early reviews from our students. Elliot and Leslie, two kids who see themselves as outsiders at school, end up having to save DENKi-3000—the world’s eighth-largest electronics factory. But it isn't just that DENKi-3000 has come up with amazing inventions like wireless breath mints; Elliot and Leslie discover that DENKi-3000 is home to The Creature Department, a group of fantastical creatures who are as wacky as they are creative. 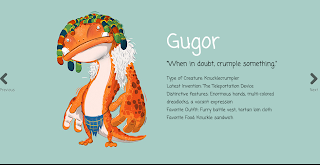 My students love all the different creatures in the book, like Gügor, "a creature that resembled a muscly eight-foot salamander—if salamanders grew sloppy dreadlocks, walked around on their hind legs, and had enormous knobbly hands." 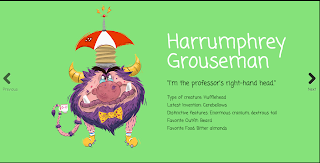 One of their favorites was Harrumphrey Grouseman. 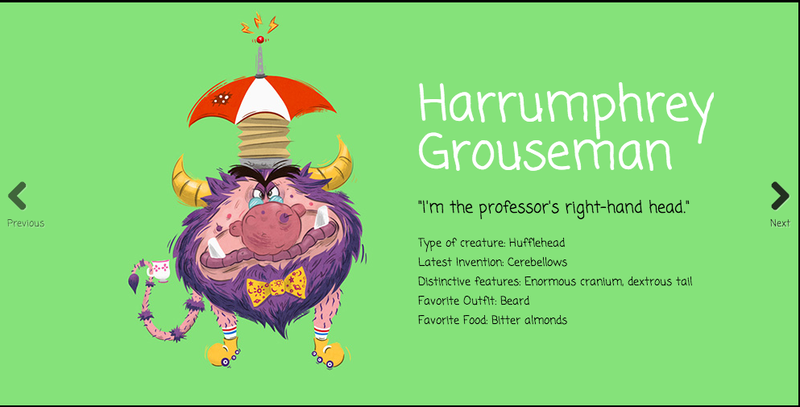 Weston described coming up with his name from the way he always says "harrumph" and grouses about complaining. Weston actually created his creatures in tandem with Framestore, the amazing special effects studio behind movies ranging from Gravity to Harry Potter and the Deathly Hallows. Framestore animators created some of the visuals for the story brainstorming with Weston as he was writing. 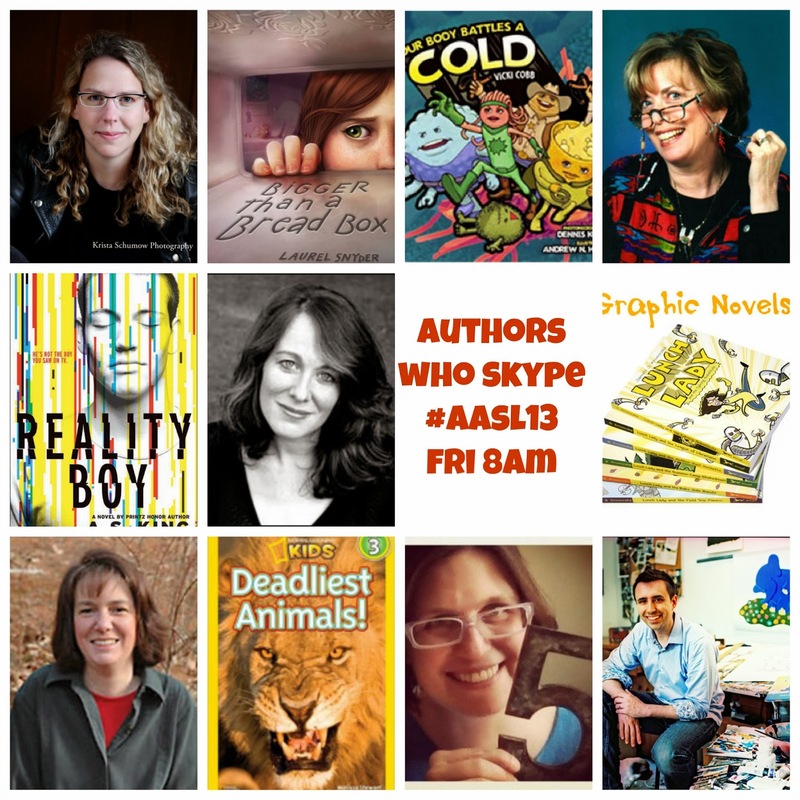 Usually, authors complete their work before illustrators are ever involved. Weston talked about how this made the process so much fun, but also a little challenging managing a story with so many characters. Over 60 kids came in during lunch! At our visit, Weston shared how he loved listening to audiobooks as a kid (he laughed with great appreciation when my students told him will still have a big collection of books on tape, yes cassette tapes!). I piped in that I think this really shows up in his writing, because it is great to read aloud. Students asked many questions, ranging from how long it took Weston to write his books to what stories he liked reading when he was their age. They wanted to know whether he went to college (yes!) and what he studied (film studies, among other things), and whether he likes learning about real life animals as well as fantastical creatures. 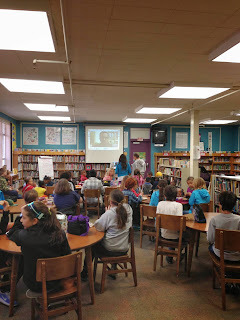 Most of all, I think our students liked connecting with an author. Many kids wanted to come up to to share the Japanese they've learned with their Dojo at their martial arts classes. They wanted to say HI! 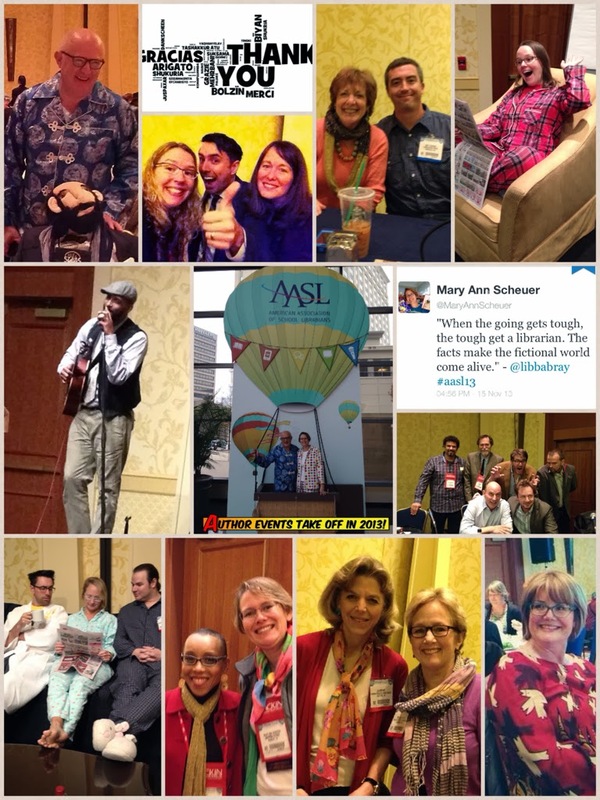 They loved knowing that the books they love are written by real people who struggle with writing each day, just like they do in the classroom. Many thanks to Robert Paul Weston for taking the time to connect with our students and spreading the love of reading. 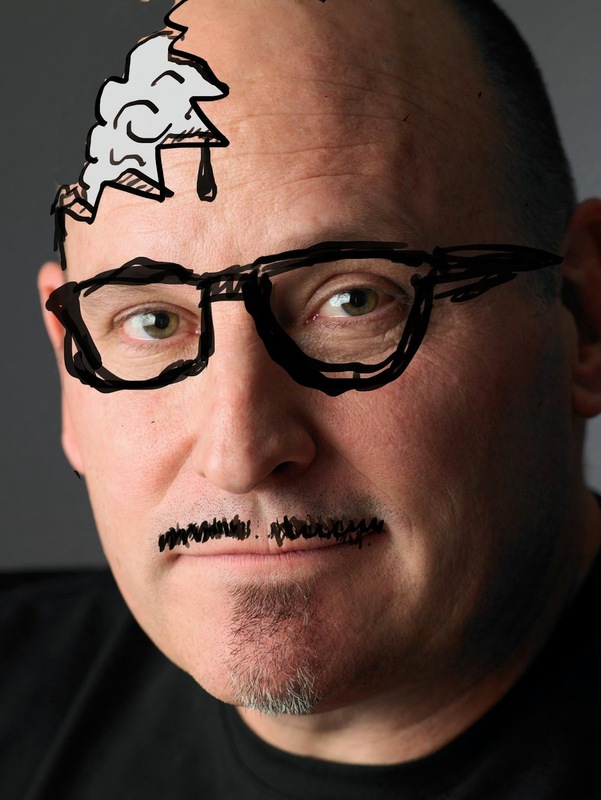 So many kids are clamoring to read his books now. Hugs to Shannon Miller and all her students at Van Meter for joining in and sharing their love of reading. 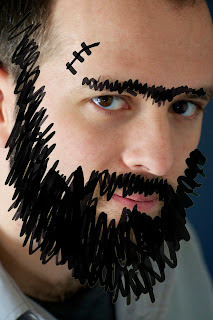 If you want to learn more about video chatting, definitely check out Skype in the Classroom or Google Hangouts. The review copy was kindly sent by the publishers, Penguin Young Readers and Razorbill. If you make a purchase using the Amazon links on this site, a small portion goes to Great Kid Books (at no cost to you!). Thank you for your support. I know I'm not alone, but I wonder at times just how much television my kids can watch if left to their own devices. We all wanted time to rest and relax over vacation, but for many kids (mine included) this seems to mean unlimited TV time. 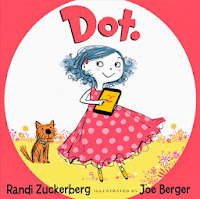 A new picture book Dot., by Randi Zuckerberg and Joe Berger, really appeals to me for the way it helps us all think about our screen time and outside time. Dot knows her way around an iPad, a laptop, a cell phone. She's a kid the media might call "a digital native," home with any and all devices. But one day she's tapped out, fried. So her mom tells her that it's time to go outside and reboot, recharge. Some might say that this book is heavy-handed, but I found the spare text and bright, energetic cartoon illustrations created a fun spin on a situation many kids know very well. The overall design of the book keeps the pacing moving, and lets readers enjoy the word play and humor. Yes, Randi Zuckerberg is the former marketing director of Facebook and sister of Facebook founder Mark Zuckerberg. Yes, this could be seen as an ironic twist for a Silicon Valley celebrity, and she's certainly getting plenty of media coverage. But really, I approach this book as a mom who's fried after a vacation where her kids just wanted to watch TV instead of walking on the beach. Reading Dot. is a whole lot more fun than nagging kids to put away their iPads and turn off the TV. Creepy stories are in high demand in our library, and engaging book apps for older readers are a real treat. I loved reading Slap Happy Larry's Midnight Feast this week - perfect for tweens and teens looking for a spooky tale. Roya lives in a world where her dreams blend with reality, and hunger is a constant part of life. She yearns for so much -- to be part of the adult world, to be part of her dream world. 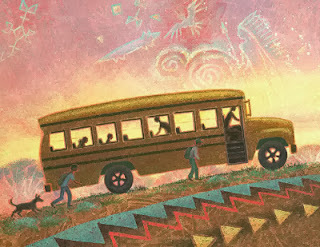 This story captures that yearning and longing that can be such a part of adolescence. In the beginning, Roya struggles falling to sleep. "It's not that she was scared of the dark, exactly. Things were slightly more complicated than that." The artwork, narration and music create a sleepy, melancholy mood, but one that right away hints at something darker to come. If you select the option "Scary Sauce," dark haunting hands reach out from under the bed. Stace develops this blend between worlds so you're never sure whether what she's seeing is solidly true or part of her active imagination. The interactive elements are layered enough to allow the story to shine through, but also to draw the reader back for repeated readings. At times, Roya's imaginary world literally interprets common sayings (her parents actually laugh their heads off), while at others she drifts into a surreal dream state. When a black cat suggests to her that "Midnight's no place for a girl," Roya wonders, "Is midnight a place?" Roya begins dreaming of a midnight place, where there is dancing, revelry, and -- of course, a Midnight Feast. I love the way that Roya's dreams combine surreal elements--cats wearing fancy dress clothes--along with colorful dreamscapes that take her away from her dreary world. The sum of striking visuals, smartly restrained audio cues, subtle voice acting, unobtrusive narration and navigation, and always-relevant iPad interactive elements is more resonant than overwhelming. Younger readers may be confused and spooked by some of the story’s content; there’s an option to eliminate the “scary sauce” in the story (cleverly represented by a ketchup bottle). Beautiful, haunting and completely original, Roya’s tale is a 12-course meal of intelligent storytelling. Teens might be interested in reading this and comparing it with the bookapp rendition of Edgar Allan Poe's The Tell Tale Heart. For teachers interested in experimenting with a layered, multimedia book app, definitely check out Slap Happy Larry's reading guide and activities. The review copy came from our home app collection. Kids clamor for scary stories -- they love the adrenaline rush, the suspense, the feeling of needing to find out what happens next. 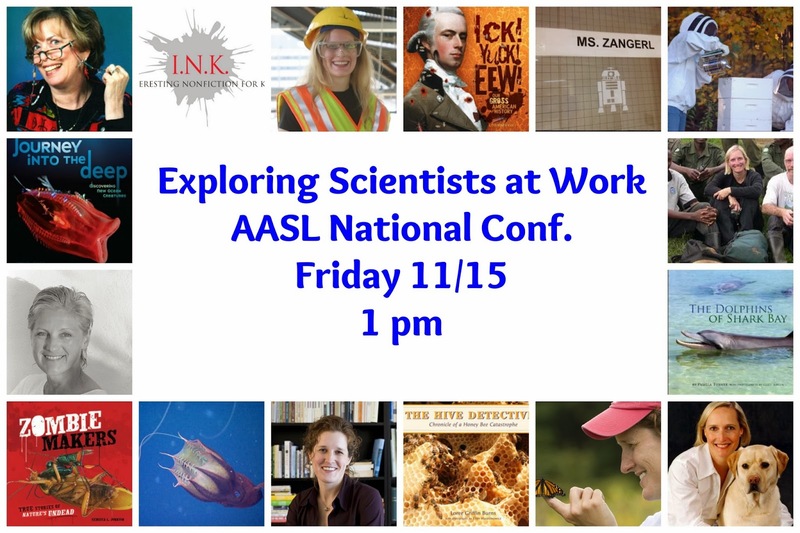 When we started talking about how the Common Core might look in real libraries during October, our minds naturally turned to stories that give us a fright. We're sharing all types of books, looking at how they tie into the Common Core and serve different readers. 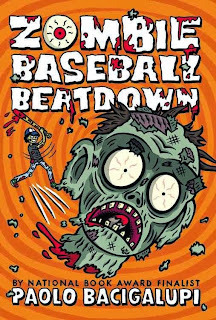 Zombie Baseball Beatdown is sure to grab tweens and teens who can stomach some gagging details and thrive on zombie chase scenes. But it also has plenty of depth to prompt kids' thinking. Share this with your kids and ask them what they're noticing in the text. Let's just start with the cover. I know, I know -- your mom told you not to judge a book by its cover. But really, get a grip. Covers matter, and this one hits a home run with its intended audience. Even better, it gets readers primed for the story -- one that combines plenty of gore with action, but still enough humor for a tween audience. It’s up to Rabi and his friends to protect the town and convince the authorities to take action before it's too late. Bacigalupi certainly raises questions about how corporations try to silence whistle-blowers and how we need to think about big agriculture companies' practices. As Kirkus Review wrote, "here’s a signal alert to young teens to think about what they eat, while the considerable appeal of the characters and plot defies any preachiness." The review copy was kindly sent by the publishers, Little, Brown. If you make a purchase using the Amazon links on this site, a small portion goes to Great Kid Books (at no cost to you!). Thank you for your support. 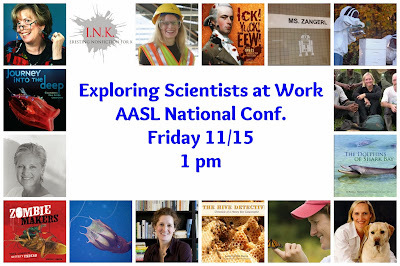 Our school is buzzing from Adam Gidwitz's visit. Our 4th and 5th graders absolutely loved hearing his versions of the "real" Grimm fairy tales and are eating up his trilogy. I wish you could have been a fly on the wall at this author visit to see the magic that happens when an author captivates an audience of kids. Adam started with storytelling, sharing the bloody version of Cinderella, the one that the Grimm brothers told long before Walt Disney tamed it. Clearly, there was no "bippity-boppety-boo" in this story. But did you know that there was no fairy godmother in the original Cinderella? Instead, Cinderella goes to visit her mother's grave and her ball gown springs from the tree that has grown there. My students have been retelling Gidwitz's stories to each other all week, laughing as they recount how Cinderella had to clean out chamber pots (which, they will gleefully tell you, were toilet pots). And they still cringe as they recount how the evil stepsisters had to slice off their toes and heels to fit them in the shoe that the prince brought. I loved how my students were able to think about why they loved Gidwitz's stories so much. He scared them, but kept adding humor all the way -- making them cringe and laugh at each turn. Even though they all knew how the story ended, he built up suspense so they felt like they were holding their breath waiting for the next part of the story. And, as you can see in the picture above, he used his whole body to dramatize his stories. I do want to note the way we prepared our students, laying the background for a great visit. 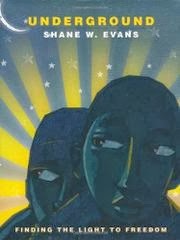 We read aloud the beginning of his first book, hooking many students to start reading it before he came. We also read aloud several fairy tales, so they had already started thinking about how these stories were originally told for adults as well as children. 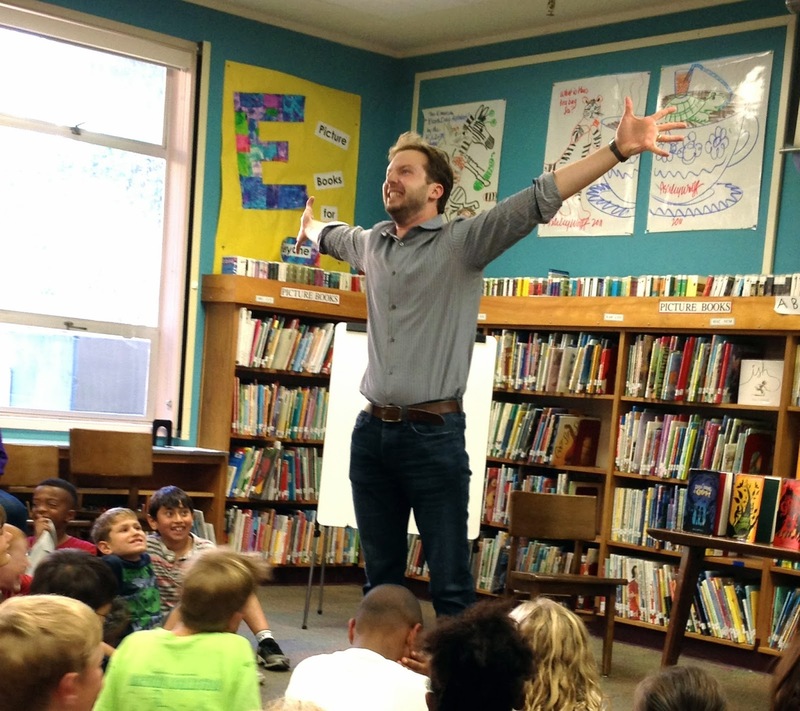 Many thanks to Adam Gidwitz, Penguin Books for Young Children and Books, Inc. for a brilliant author visit. 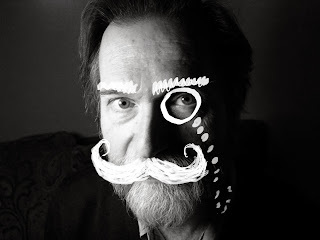 If you make a purchase using the Amazon links on this site, a small portion goes to Great Kid Books (at no cost to you!). Thank you for your support. Young children love celebrating Halloween, but often they don't want scary books. 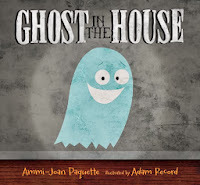 Ghost in the House is a fun new picture book that fits this bill perfectly, providing some rhyming fun along the way. 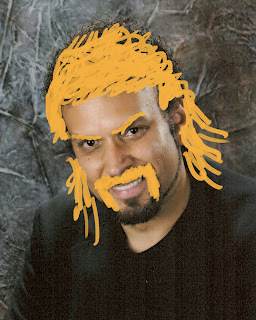 On this dark, spooky night, all alone. Hidden on the right side, you can notice fingers holding the door as the mummy starts to open it. Paquette builds the story using the same pattern. I love the rhythm and rhyme. This type of cumulative story works really well with preschoolers and kindergarteners, inviting them to read it over and over again as they absorb the language and pattern. Adam Record's friendly creatures are a big draw for young children as well. They love the digital cartoon style that emphasizes the humor in the story, while keeping just the right amount of creepiness. The twist at the end had my group of kindergartners laughing in delight. 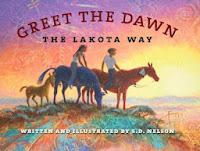 I enjoyed reading this interview with Ammi-Joan Paquette at Elizabeth Dulemba's blog, talking about her inspiration and the path to publication for this sweet story. Do you have any favorite Halloween books for young children? 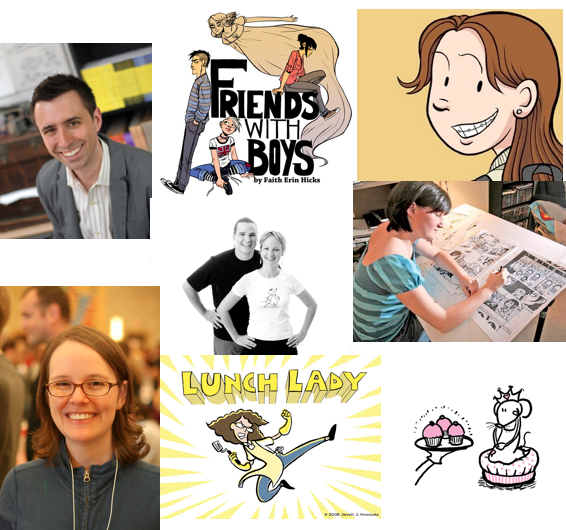 Others I love include Lisa Brown's Vampire Boy's Good Night and If You're a Monster and You Know It, by Ed Emberley and Rebecca Emberley. The review copy was kindly sent by the publishers, Candlewick Press. If you make a purchase using the Amazon links on this site, a small portion goes to Great Kid Books (at no cost to you!). Thank you for your support. 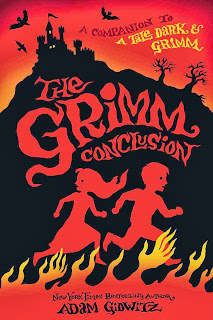 Our 4th and 5th grade students have become enchanted by the Grimm's Tales this fall, and I am absolutely delighted. 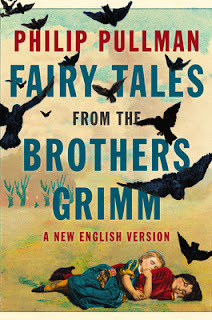 We are reading Philip Pullman's Fairy Tales from the Brothers Grimm aloud and talking about the ways these classic stories sink deep into our culture. Fairy tales gripped me when I was a child, pulling me in with their simple plots, holding me with a few choice vivid details and always providing satisfaction as the wicked characters get the consequences they deserve. 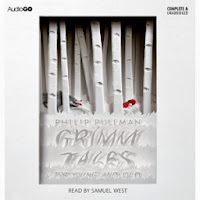 Philip Pullman retells the classic tales from the Brothers Grimm with clean simplicity and a storyteller's charm. Our students are loving Pullman's retellings. They are fascinated to hear some of the longer versions, comparing the different versions they've heard to this one. Hansel and Gretel doesn't just end with their killing the witch. They finally return to their father, who is overjoyed at their return. "From fiction, (Pullman) tells us, we learn about good and evil, cruelty and kindness, but in ways that are always elliptical, as the text works on us in its own silent, secret way. “‘Thou shalt not’ might reach the head, but it takes ‘Once upon a time’ to reach the heart,” he once observed. Fairy tales began as adult entertainment—stories told just for the fun of it. But with their exacting distribution of rewards and punishments, they also increasingly tapped into the human urge to derive morals from stories, In his own fiction, as well as in these retellings of the Grimms’ fairy tales, Pullman tells stories so compelling that he is sure to produce in the reader the connection—both passionate and compassionate—that Nabokov called a little 'sob in the spine.'" 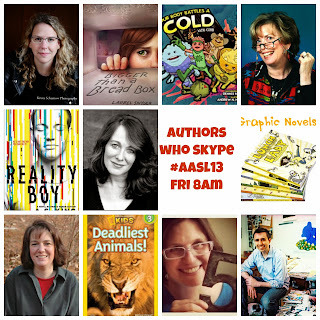 "These stories make great bedtime read-alouds for children who can handle a little gore. (They’re short-attention-span theater: Deliciously bloody, but not really terrifying...) The original tales weren’t for children, of course; they were for everyone." I'm looking forward to seeing how the audiobook does in holding our attention. Even more fascinating is the prospect of listening to a few tales several times to commit them to memory. In a fascinating interview with teacher Monica Edinger, Pullman encourages teachers to tell these stories to children, instead of just reading them. Hmmm... maybe, just maybe, this is something I can try to do. Fractured fairy tales absolutely delight my students. They love knowing what's coming and then seeing the story twist and turn in unexpected ways. 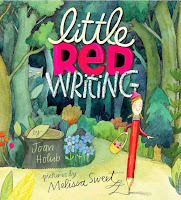 I can't wait to read them Little Red Writing, a new picture book by the terrific team of Joan Holub and Melissa Sweet. It's full of puns, wordplay and creative twists that kids and adults will love. 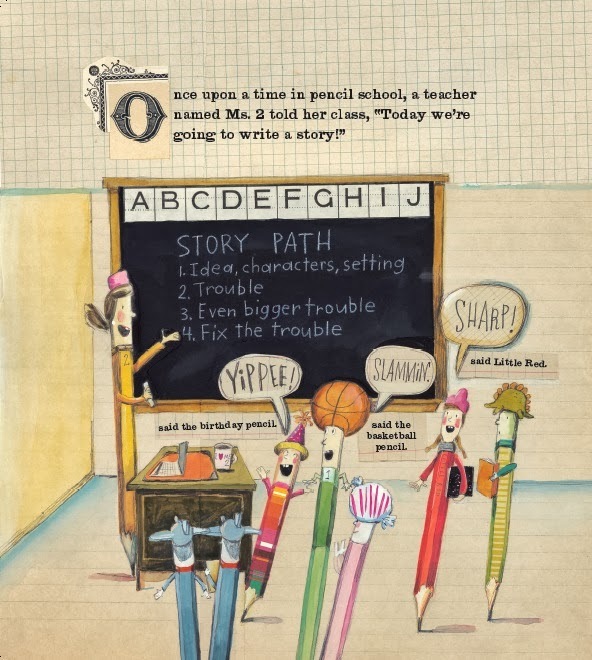 Once upon a time in the great state of Pencilvania, a wise teacher named Ms. 2 told her class, "Today we're going to write a story!" She laid out the path each story should take, starting with an idea, characters and setting, and then adding trouble and conflict. "I want to write a story about bravery because red is the color of courage. But what would a brave pencil do?" Ms. 2 gave Little Red a basketful of powerful words to use in case she ran into trouble and warned her to stick to her basic story path. Little Red headed off into the forest, but soon "was bogged down, hindered, lost!" I absolutely adore the way the text and pictures play off each other in this picture book. Melissa Sweet incorporates descriptive words, dialog and signs throughout her illustrations -- making the words an integral part of the pictures. Joan Holub's puns never overwhelm the story. Children know right where it's headed (of course, Little Red runs into trouble! We know the wolf is waiting for her!!). Teachers will love the way Holub incorporates writing advice - I'm sure that it will be a classic in many elementary classrooms. But really, what draws me back to this again and again is the sheer delight in Little Red's adventure. Teachers -- definitely check out some great ideas for incorporating this into classroom lessons over at The Classroom Bookshelf blog. Chronicle Books also has a teacher's guide aligned to the Common Core. The review copy was kindly sent by the publishers, Chronicle Books. Artwork copyright ©2013 Melissa Sweet, shared with permission of the publishers. If you make a purchase using the Amazon links on this site, a small portion goes to Great Kid Books (at no cost to you!). Thank you for your support.